Check out the article in Wholesale Manager on Sales Analytics, CRM and Sales Management within a Wholesale sales operation. It's a great read. 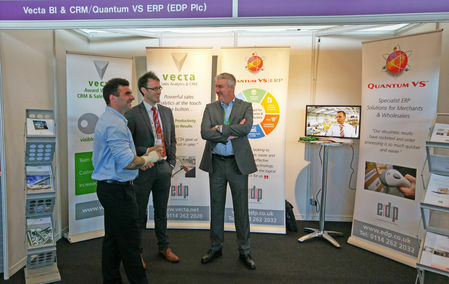 Vecta and our sister software Quantum VS |ERP were showcased this week at the Manchester IT Showcase event. 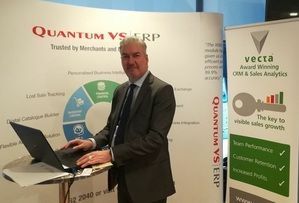 Our guys will be out and out again at IT Business Software showcase at Pride Park Stadium in Derby on Tuesday 17th April - come along and find out more about how Vecta and Quantum VS can help drive your business forward. A great night was had by all at this year's Builders Merchants' News Awards especially having sponsored the Champagne Reception for the event. With the great company of our fantastic guests and the occasional chat with the lovely host for the evening, Joanna Lumley. Jayne Hill was thrilled to be invited onto this year's judging panel for the selection of the Federation of Wholesale Distributors annual Award winners. Huge congratulations to all of the winners! For the 2017 Torque Expo event team Vecta and team EDP caught up with customers and friends old and new. 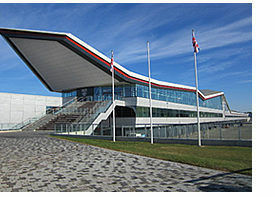 It's a great chance to network but also to showcase our wholesale distribution software products to an audience of like minded businesses. Vecta Sales Solutions will be showcasing their powerful combined Sales Intelligence and CRM solution, Vecta, specifically designed to deal with the individual challenges faced by fastener and tools Wholesalers and Distributors every day. Visit Torque Expo and find out how using Vecta you could be managing every element of your sales operation simultaneously, and how you could see significant team efficiency and visible financial gains - fast. Vecta Sales Solutions, an Innovator in sales analytics, sales CRM and business intelligence software for sales and corporate management has once again claimed an industry win with the title of Sales & Management Solution of the year, their 4th industry award in 3 years. Michael Barrett caught on camera at the National Sales Conference at the Ricoh Arena, spot the green Vecta delegate lanyards! This week Vecta8 was launched, a new and improved Vecta, created to offer a faster and more progressive sales management solution with a range of new technology and functionality improvements and an enhanced and contemporary visual style. Vecta’s Chief Executive Julian Wassell was accompanied on stage by Jayne Hill to accept the award for the 'SaaS Solution of the Year' from former MP now TV presenter Giles Brandreth, watched by an audience of IT suppliers from across Europe. Based in Sheffield, team Vecta are keeping fingers crossed for winner’s success again after taking two awards at the 2014 IT Europa Awards hosted at London’s Lancaster Hotel. Judged on real life customer experiences, testimonials and the genuine benefits experienced by users, the IT Europa Awards are the only awards encompassing business software solutions across Europe. Here's how to increase selling time and achieve 30% sales growth, by transforming your own data into useful actionable Sales Analysis and Intelligence. Discover how easy it is to improve productivity, increase sales, enhance territory growth and guarantee a powerful competitive advantage with a clear overview and insight into all sales opportunities using award winning sales automation.